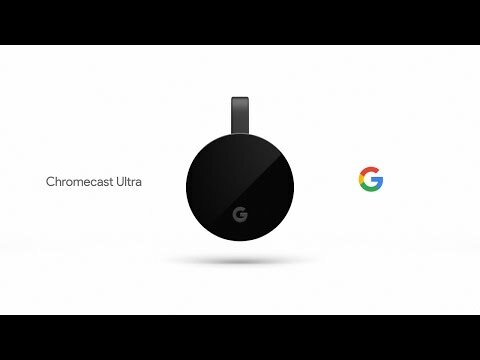 The Google Chromecast Ultra is the big brother of the Google Chromecast streaming media player. It allows you to stream movies, TV shows, videos in 4K HD quality, allowing you to finally take advantage of your 4K-ready TV. Your phone or tablet functions as the television remote – all you have to do is press the Cast button within the relevant app and the content will appear on your TV. You can also stream content from your PC or Mac. Compatible sources include Netflix and YouTube, as well as music streaming sources like Pandora and Google Play Music. Google impresses with its latest upgrade to the Chromecast, which is now able to deliver full 4K HD content directly to your TV. An upgraded Wi-Fi transmitter has been added to allow the device to stream in 4K, however, an Ethernet port is also included should your wireless network not be able to process the larger file sizes. One great way of using the Chromecast is with the Google Home or Google Home Mini. Just tell Google Home the type of content you want to watch, and it will magically appear on-screen. No interruptions: You can stream content off your phone while continuing to use it for other functions as you normally would. That means you can continue receiving messages, making calls and browsing the web. Your Android phone on the big screen: Android device users are in for a special treat! You’ll be able to stream content from your phone screen to your TV over Chromecast, allowing you to use your phone apps on a bigger screen. iOS device users will be able to stream content from a variety of supported apps and services. Smart design: The Google Chromecast Ultra has an elegant design with a black lacquer finish. It blends in well with the back of your TV and looks stylish. Optimized streaming quality: An upgraded Wi-Fi transmitter (802.11 ac.) and Ethernet port have been included to provide for more reliable streaming quality. You won’t have to worry about buffering – even with 4K content! Over 3,000 partner apps: An unbelievable amount of popular streaming services are compatible with Chromecast. Included are networks such CBS, FOX and ABC just to name a few. The Chromecast Ultra offers you a first opportunity to get 4K content directly on your TV. Probably the best place to get 4K content right now is Netflix, with many recent TV shows being offered in 4K video quality. A small caveat is that you will have to upgrade to the highest subscription package possible to use Netflix in 4K, but this is well worth it if you’re looking to get the most vivid home entertainment experience possible. We recommend using the Ethernet port if you’re experiencing long buffering times over Wi-Fi. Is the Chromecast right for me? The Chromecast is perfect for those who are already familiar with how streaming, app-based control and smart devices work. Those who are more familiar with more classic TV interfaces may struggle at first to use the Chromecast and accompanying Google Home App, but are sure to get the hang of it eventually. It’s a simple matter of adjusting to a different way of controlling the content which appears on your screen. The Chromecast Ultra can also stream both music and pictures, letting your regular TV be used as a one-stop station for all your home entertainment needs. Pandora and Google Play let you stream both internet radio and your favorite music. You can also use the Chromecast to display your favorite photos on the device, including any 4K resolution picture you may have taken. This can be pleasant to have on loop in the background, as well as giving you an opportunity to look through photos of your family. Connect the Google Chromecast Ultra to an HDMI port on your TV and an electrical outlet, and then follow the steps on your smartphone or tablet. An upgrade on the standard Chromecast thanks to 4K compatibility and faster Wi-Fi transmission. The Google Home app gives you a hub for seeing the range of content offered. You can also play and pause streaming directly in the respective app (e.g. Netflix App). Turns your regular TV into a Smart TV. 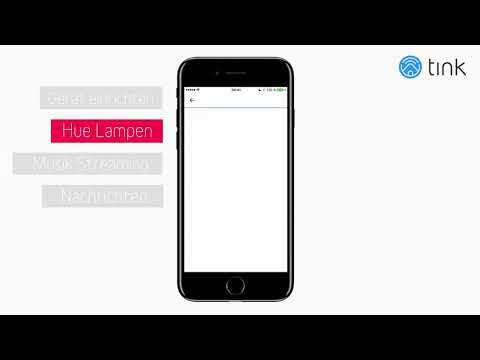 Streams in up to 4K Quality and can access thousands of compatible apps. The Ethernet port and the LAN port ensure reliable, steady playback. The optimized processor provides for 1.8 times faster data transmission! Puck-shaped, black piano lacquer finish, Google "G" on it. Tucks-in neatly behind the TV. It runs by default over your Wi-Fi network, so you should select a secure network password in order to keep your data safe. Even if there is a significant price increase over the standard model, the investment is worthwhile. The increase in streaming reliability alone makes for a much more satisfying experience. Do I need an app to use Google's Chromecast Ultra? The device must be integrated into the Google Home app during installation. What is the button on the case of the Chromecast Ultra? This functions as a reset button. How many partner apps are available? Google has signed up over 3,000 partners so far. The most popular streaming services like YouTube, Netflix and HBO Now are available on Chromecast. What distinguishes Google Chromecast Ultra from its predecessor? Chromecast Ultra has an Ethernet port, plays in HDR and displays 10 bits per basic color (2 bits more than its predecessor). It can play content in a resolution of up to 4K (in contrast to 1080p offered by the original Chromecast). The Ultra is also more visually appealing, with a stylish black lacquer finish.